Today we are making Photo Magic, which has been in testing for the last month, available to more people. Feedback has been great, and we are looking forward to making it easier to share more photos, especially this time of year. Photo sharing in Messenger is growing at a fast rate. In fact, more than 9.5 billion photos are sent in Messenger each month alone. But there is still a lot of friction in sending the photos you take to your friends who are in them. Now in Messenger, after you take a picture of a friend or group of friends, if you want to, we’ll help you send it immediately. You won’t need to stop the fun to make sure everyone has a copy of the picture. Photo Magic will help you keep your promise to send the pictures you take without forgetting, or worse, leaving someone out. Also, we know there are times when you want to share photos privately, and Photo Magic makes it effortless to do so while still keeping you in complete control. 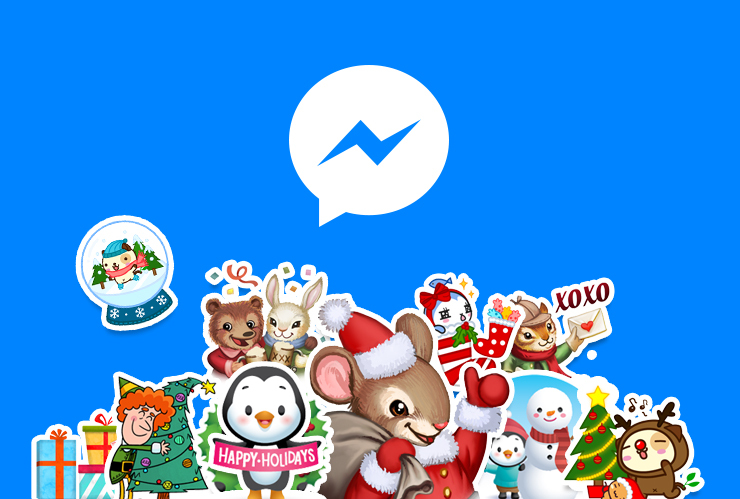 So at a time of the year when more photos are taken than any other (last year Messenger saw hundreds of millions of photo sends on New Year’s Eve), we’re making it simple for you to share those happy moments. And speaking of snow – check out our Frozen stickerpack if you’re feeling frosty. But if Frozen isn’t for you, we didn’t want to forget our new Star Wars pack that just went live last week! May the Frozen Force Be With You.